The Autumn Statement this year will be the first fiscal event following the Brexit referendum result and the election of Donald Trump and will take place in the midst of a growing backlash against the trade and immigration forces of globalisation. The stakes have never been higher; the need for bold moves on longer term economic policy has never been greater. Why? Well, in addition to the changes unleashed by globalisation, huge changes are occurring in our country. Today, competition for jobs is framed as a debate about immigration, migrant labour, wages and working conditions. But in the near future, this competition for jobs will be multi-dimensional. Demographically, we will see the rise of older workers, as we live longer, save less and receive poorer pensions; and technologically, the much talked of rise of the robots. There will be new possibilities for flexible and virtual working and, on some forecasts, by 2020 there will be more self-employed workers than public sector workers. Our cities, which power economic growth and prosperity, will get larger, but inequality is forecast to increase. These trends will have huge implications for the labour market: work is changing, and the lives, living standards, hopes, dreams and fears of workers are changing too. And in turn, our economy and society will change as will our potential for economic prosperity. These shifts in demography, technology and labour were underway long before Brexit. They were underway long before the global financial crisis. But the political class have continued to offer policies designed for a past era in changed circumstances. The chancellor now has his chance to seize the moment. With events moving so fast, he cannot miss it. We need bold, forward looking decisions on key policy areas that will give workers the chance to succeed in the turbulent times ahead. And I believe a game changing moment is needed in skills and retraining policy. Skills enhance economic performance by supporting the introduction of new technologies, facilitating knowledge transfer and fostering innovation. They should not be an add-on to education policy, or a policy for the young post-16, post-18 or post-21. They are crucial for dealing with the key issues that our country and economy face: re-booting poor wage growth under the Tories; improving skills in the manufacturing industry to re-balance the economy towards exports with a view to increasing trade with the rest of the world post-Brexit; eliminating regional economic inequalities across the UK; developing a high-tech economy that provides wealth and job creation for the 21st century; helping those left behind from welfare into work; and giving our citizens confidence that their skills have not left them vulnerable to the global forces of immigration and free trade. Despite the importance of skills to all these areas, the Tories have left us with a “skills gap” at crisis levels and one of the worst records on productivity growth amongst developed countries, of which strong skills constitute an important part. The Chartered Institute of Personnel and Development has argued that Britain has a skills mismatch with too many graduates in non-graduate roles while industry struggles to find the skills they need. This year in a survey of 500 employers, the CBI found that 69 per cent were concerned about not being able to hire enough highly-skilled staff, 14 per cent more than last year. Moreover, businesses anticipate cutting more low-skilled jobs and hiring more skilled workers, only exacerbating the problem. The “digital skills gap” meanwhile has been estimated as costing the economy £63bn a year in lost additional GDP. Also holding us back from the high tech economy of the future is the lack of new engineering and technology recruits meeting employers’ expectations. We are also facing an engineering “retirement cliff” with the average engineer currently in their fifties. According to the Engineering UK 2016 report, engineering employers have the potential to generate an additional £27bn per year from 2022 but only if we can meet the forecast demand for 257,000 new engineering vacancies. And these are exactly the type of professions we need to build our industries and export to the world after we leave the European Union. What is worse, the failure of skills policy as part of a broader active industrial and welfare-to-work policy in the Cameron-Osborne era, has only widened inequalities amongst people and regions. Forecasts suggest that Britain will see a decline in mid-ranking jobs such as administrative, secretarial and skilled trade positions as the use of automation in the workplace increases. While our skills policy flounders, we are facing a greater need to retrain workers who have paid into the system their whole lives, so that those who have lost their jobs are not forgotten, and a new generation can replace those who retire from the mid-ranking jobs that still exist. At the same time, regions outside of London and southern Britain have productivity levels comparable to poorer regions of Central and Eastern Europe. Even in regions that have jobs, those in deprived areas may not be able to access the jobs because of a lack of skills and poor regional inclusive growth strategies. Analysis from the Learning and Work Institute shows that the Work Programme is producing fewer job outcomes in high unemployment areas, which is arguably where they should aim to be most effective. However, the government now plans to cut the £1.5bn budget of the Work Programme and the work choice scheme by around two-thirds in their new incarnation as the Work and Health Programme. Welfare-to-work henceforth will only be able to support fewer people, or provide worse support to a larger number. This will do nothing to help those in deprived areas who currently do not benefit from the economic growth that benefits others. In 2015, after five years of Tory complacency, the government decided that the “UK’s skills weaknesses … are of such long standing, and such intractability, that only the most radical action can address them”. Unfortunately, such radical action has not been apparent. The government’s apprenticeships, post-16 skills and digital strategy policies, which aim to raise the level of technical skills and qualifications and bring the population’s skills into line with computer age, have all been unimpressive. Ofsted has found weak apprenticeship provision and a failure to provide training to develop new skills. A recent National Audit Office (NAO) report argued that the Department for Education (DfE) has not set out how the increase in apprenticeship numbers will improve productivity, and how it will influence the mix of apprenticeships to achieve the most value. Nor did it feel that the target of three million apprenticeships by 2020 demonstrated how apprenticeships will have an impact on overall skills levels, address skills gaps or improve achievement rates. Was that not the point of the apprenticeships policy? The post-16 skills plan will not achieve its potential with the current lack of funding to further education providers. And we are still waiting for the government’s digital strategy. In the short term, there are – as always with this government – immediate steps ministers should be taking with skills for the sake of the economy, young people and those who are unemployed or in low-wage jobs. The NAO for instance has recommended that the Department for Education should set out the planned overall impact of its apprenticeships policy on productivity and growth, along with short-term key performance indicators to measure the programme’s success. The government must also adequately fund welfare-to-work in the Autumn Statement, get a grip on inclusive regional growth and ensure that welfare-to-work helps those in areas with high-unemployment and not just those who find it easiest to get back into work. As the science and technology select committee has said, the government should now publish its digital strategy policy without further delay and include goals for developing better basic digital skills and increasing digital apprenticeships as well as providing a framework through which the private sector can more readily collaborate with communities and local authorities to raise digital skills in local SMEs. These are all urgent and there is no excuse if the government does not now use the Autumn Statement to follow through, especially since Theresa May has indicated a change of mind about an active industrial strategy. But the chancellor will have failed if he merely tweaks what is already in progress, at such a critical moment, following six years of complacency, and looking into an uncertain and changing new world. We need a more fundamental shift. A shift that recognises that skills policy should be at the heart of a welfare system that partners with citizens to achieve their goals of a fulfilling, independent, and prosperous life – a lifelong offer that follows students as they become workers, and then workers as they navigate a changing and highly competitive world of work, right up to the day they retire. Shabana Mahmood is one of five Labour MPs who have today launched a report with the Social Market Foundation on the the economic response to Brexit. 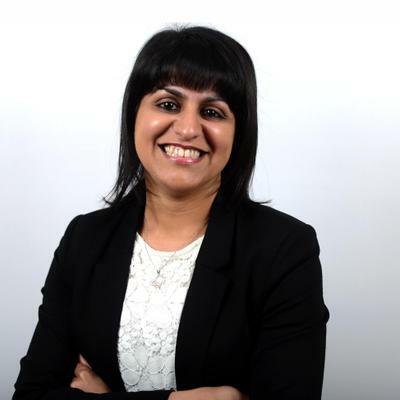 Shabana Mahmood is MP for Birmingham, Ladywood.